The Kinesiology Department will sponsor the fourth annual Run with the Pride 5K on Sunday, April 30. Whether you’re a competitive runner or this is your first 5K, this is the race for you. Walkers are also welcome. The event is organized by the KINE 395 practicum class. Race day registration will begin at 4:30 p.m., with the race starting at 6 p.m. at Young Gym. An awards ceremony will be held at 7:15 p.m. The entry fee is $20 for members of the community, $10 for Missouri Southern students, faculty and staff, as well as youth 14 and under. All proceeds will benefit the Kinesiology Department. Participants will receive a medal at the completion of the race. Special awards in a number of categories will be handed out during the ceremony. 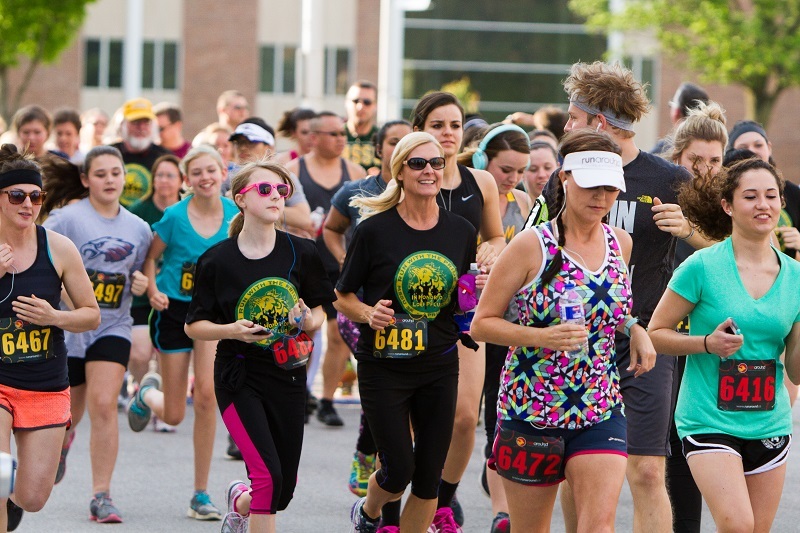 Online registration forms are available at http://www.mssu.edu/academics/education/kinesiology/index.php. For more information, contact Brenda Hayes at ext. 9316 or Hayes-B@mssu.edu.